C: Do you mean the project that you’ve started when you moved to Berlin? L: Right. Even though I came back to Milan I’d love to keep it going. C: I think it’s a great idea, I’ve always thought it was a nice and interesting project. L: Thanks! I’ve actually worked on it for a long time in order to improve the idea, asking everyone for feedback and spending nights on the web. C: It would be such a shame to end it with all the time and passion you’ve put into it. L: Yeah… but sometimes passion is hard to retain, and you can almost burn out from it. C: Of course, I agree, photography is a drug for me as well! L: Why don’t we work on it together? I wouldn’t do it alone. The amount of work in terms of organization is so huge and I know you are as practical as I am. C: Yes, we worked well during the VII Masterclass. L: So… what are you doing this summer? L: Why don’t we try to organize together some workshops in Berlin? C: Fantastic idea! Berlin has such a great potential for diverse and interesting stories. L: Is there any photographer that you particularly like? Let’s see if we have the same “taste” since we have both assisted the same photographer. C: Well, recently I’ve noticed projects with a particular sensitivity carried out by women photographers. L: I undestand that. In terms of personal research work I really love Rinko Kawauchi, Cindy Sherman and Nan Goldin. While in the photojournalism world I like Brenda Ann Kenneally, Darcy Padilla, Nina Berman and I’m very fond of Susan Meiselas and Anastasia Taylor-Lind also for the activity they are carrying out with social media. C: Me too. I also like Carolyn Drake, Olivia Arthur and Alessandra Sanguinetti. I think Taryn Simon is such an inspiring artist, still remember her show in 2011, but I guess what she does is not in line with Photo-Berlin. A more documentary artist is Laura Pannack, she is totally among my favorite portrait photographers. L: By the way, since we organize them in Berlin, it would be a good idea to involve some German photographers. Why don’t we see if someone from Ostkreuz agency is available? and then why don’t we take a look at all the awards like Eugene Smith Grant, Canon Female Photojournalist Award, Alexia Foundation Grant, etc. C: Last week, after seeing Newsha Tavakolian’s work on Time Magazine I realized she won the last Carmignac Photojournalism Award. L: I see we have a very similar taste. 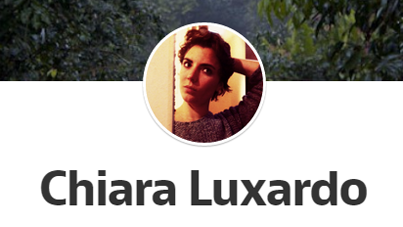 I just found Laura Boushnak on the Getty Images Grants for Editorial Photography. I saw that she has also received the Ted Global Fellow, I appreciate when people want the public to know their work. C: Then why don’t we make a women edition? L: That’s a really great idea! C: How are we going to do it? How should we choose them? L: We need to find photographers that are already in line with Photo-Berlin’s project. No fashion or commercial, let’s stick to photojournalism and documentary photography. C: oh, I met Mila Teshaieva in Paris Photo and I think she’s been doing great work. L: and I met Alisa Resnik in Les Recontres D’Arles, when she won the European Publisher’s Award for photography. I know she’s based in Berlin just like Andrea Gjestvang (we both attended Eugene Richards’ workshop in Oslo in 2011). C: By the way, I also took many workshops but it’s been years I’ve been looking for an editing one. 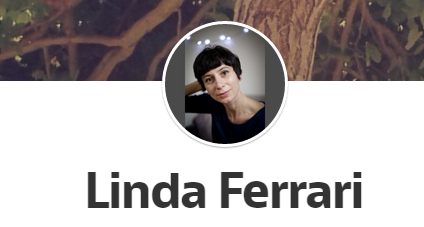 L: As photo-editor, I’ve heard great things about Barbara Stauss, I know she has been teaching photo editing seminars and she’s been a jury member for World Press Photo. Even though we don’t know her personally, why don’t we try to contact her? After searching the web and asking around to people from the photography world, this is how Linda and Chiara have found these 5 women: four photographers Laura Boushnak, Alisa Resnik, Mila Teshaieva, Laura Pannack and one photo-editor Barbara Stauss. and 7850 sent e-mails, ending up in spam folders. 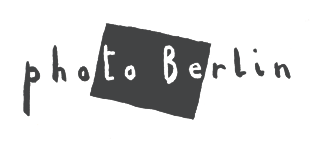 The Photo-Berlin Project has finally taken shape!! !